Part of the “Ye Yucky Middle Ages” series, this book walks kids (and parents) through the parts of public health that we all pay attention to: washing in dirty water, piles of poop, diseases, tooth decay, leeches and more. Life, in general, was gross, and, as the book points out, bathing was optional. Why use dirty water to wash in? Were the people of old just stupid? No, Berdeson explains, these people weren’t stupid. They just did not understand what germs were or how these germs caused diseases. Their medical treatments were based on what they could see, and what they imagined. Doctors bled patients to restore the balance of blood to all parts of the body and they drilled holes in the head to relieve headaches. Both ideas seem obviously dangerous today, but the logic is there. Each chapter in this third grade level book addresses a different section of medieval life, ranging from the extremely personal life (where did the medieval people go to the bathroom), to the more public life (how the plague changed the socio-economic landscape for all time). Each chapter is also self-contained, which encourages the reading skills of reluctant readers, who may want a short piece of information instead of a longer story. Readers will love the yuck factor of this book, and the others in the series. And they might brush their teeth more willingly when they read about the gross alternatives. While not dating back to the Middle ages, these museums offer other history on health and medicine. 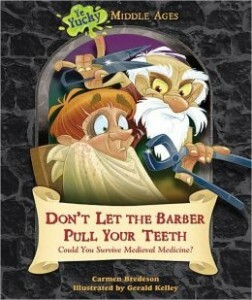 Title: Don’t Let the Barber Pull Your Teeth: Could You Survive Medieval Medicine? Easy Desserts from Around the World is a super fun cookbook aimed at third grade readers and up. What is unique about this cookbook is the assortment of recipes collected from around the world. Through this cookbook kids are exposed to eleven different desserts, such as Russian Strawberries Romanoff and Mexican Celebration Cookies to German Lebkuchen and Italian Lemon Granita to name just a few. Yum! Each recipe features a photo of the dessert along with a picture of the country from where the dessert originates, as well as colorfully presented fun to know information relevant to the country and/or dessert. Kids will not only be motivated to make something sweet to eat, they will also experience another culture first-hand and see the world a little differently because of it. Load up a book with the ‘ouch’ facts, the ‘yech’facts, and the ‘oh yeah?’ facts. Do away with the blah. Add to that mix magnified photos of the bloodsucking creatures and you have an instant readership – second and third grade readers who delight in the icky and gross and awful. The vampire bat on the cover looks like it is on its way to the next meal source – you. We learn that the only real vampires in the world are these tiny (three-inch long) vampire bats. Count Dracula with his red cape is a figment of our imagination. Naomi C. Rose weaves a heart-warming tale about the resolve of a little girl to help her Popola get well. This story is perhaps best suited for a third grade class; it speaks of a little girl’s Tibetan grandfather who is healed by the power of nature and people’s enveloping companionship and love. 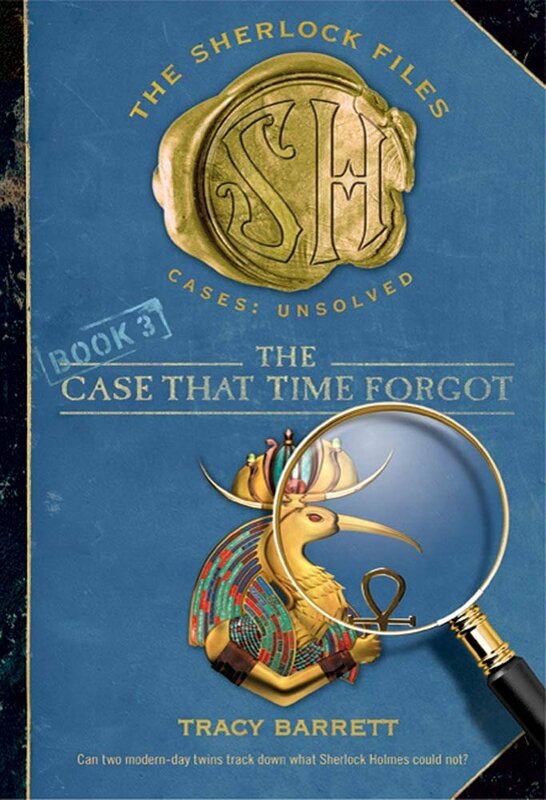 As a third grade class reads this book, it encourages reading skills in comprehension. There are several culturally relevant words that students will perhaps have to research or at least dig deep into the text for context clues. Words such as “Tibetan chants,” “mala,” “thangka,” and “solja” encourage students to look up their meanings to deepen comprehension. The theme of this book is a girl’s determination on behalf of her grandfather. She rallies a community to help heal him from the spirit outward. An easy journal assignment after reading <em>Tashi and the Tibetan Flower Cure</em> would be to have students write how they can relate to Tashi. Perhaps students could share what they would be willing to do for a beloved family member. If you are contemplating reading this book or have it in hand, it tells two things about you. You are a reader, and you want to learn about Ben Franklin. It does not matter that you are a third grade reader or an adult. 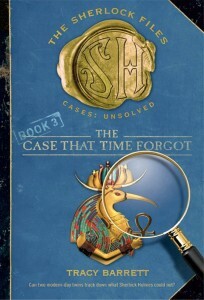 The strength of the book lies in the fact that all ages will enjoy it. The illustrations add such verve to the text. “Never leave till tomorrow what you can do today” is one of Ben Franklin’s aphorisms. Well, guess what? Even an animal takes it to mind. Multi-tasking farmer, multi-tasking horse chomping on an apple TODAY. As part of the “Innerstar University” series, A Winning Goal is about a girls’ soccer team and how teams work. With much of the text written in second person, the reader becomes one of the team and participates in all activities, on and off the field. This approach works well for third grade reading, making the reader feel a part of the story. Bessie Keith Pond, a real girl from Berkeley, California, wanted to ride bikes and go on hikes with her father and brothers. But back in 1896, girls were only supposed to stay home and take care of the house.The man of the house, in this case Bessie’s father, was the decision maker of the household.